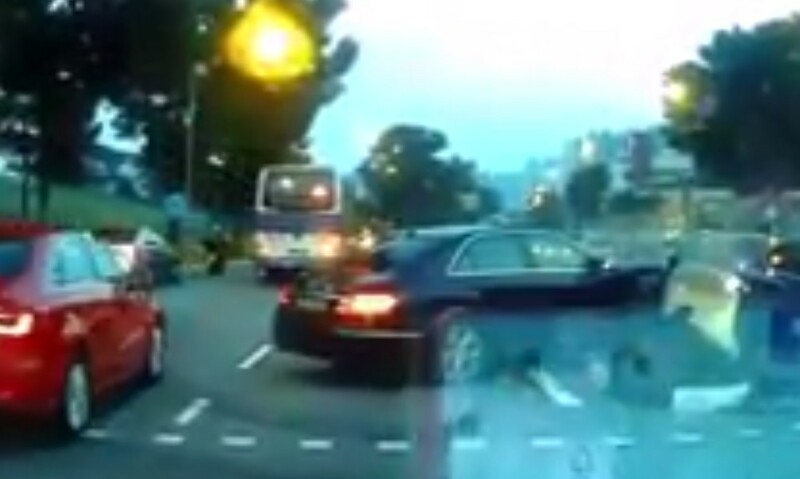 DRIVER KNOCKS DOWN TRAFFIC LIGHT AT UPPER BUKIT TIMAH! You are at:Home»Caught In The Act»DRIVER KNOCKS DOWN TRAFFIC LIGHT AT UPPER BUKIT TIMAH! Netizens speculate that the driver might be either using the phone or not paying attention. The car knocked down the traffic light! Hope the traffic light is ok..
Next Article LORRY LOADED WITH DUTY-UNPAID CIGARETTES CAUGHT AT WOODLANDS!